All children are different and they can progress on varying timelines. 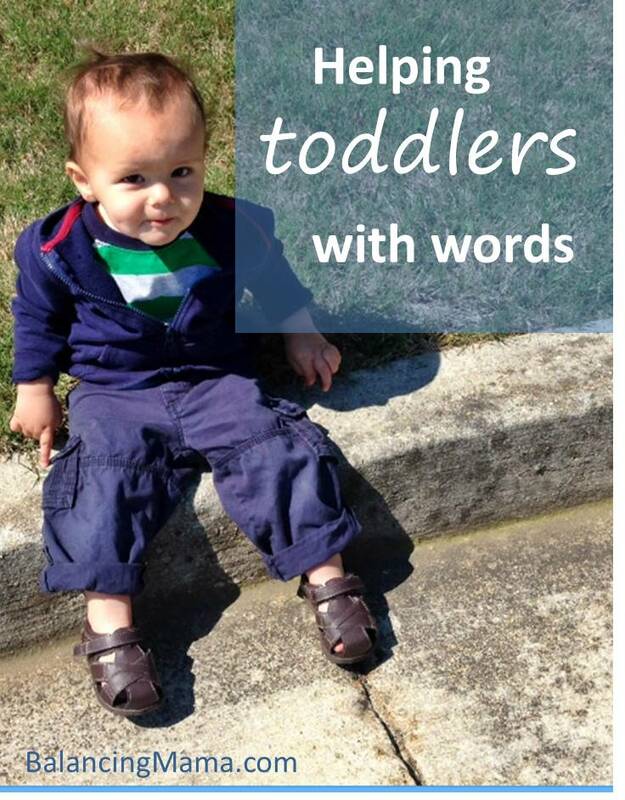 Generally, toddlers begin to say a few words around 12-18 months old. Andrew is going on 17 months, and his main vocabulary consists of grunts (and a lot of enthusiastic pointing). His sister was the total opposite: she was talking and repeating words at a very young age. One of my favorite videos of all time is this one, where a 20-month old Amelia cheers for herself after repeating some big words! I am not concerned that Andrew is slower than she was to learn speech. To this day, our daughter is a bit of a word whiz. He will probably find his talents lie elsewhere. He is quite good at making gorilla faces! And getting into messes. Listening to our little ones explore various sounds is an important way to show them the power of speech. By listening intently to their sounds - and even repeating those sounds - toddlers can observe facial expression and movement. Letting them know that we listen when they speak also helps them to know that what they have to say is important. It's fun to get Mommy and Daddy's attention! Toddlers do not need a bunch of baby talk. Speak to them like you would most anyone else. Describe what you are doing or point out things you see. It is amazing what children can understand at a young age, even if they cannot say any words themselves. I can instruct Andrew to pick up a napkin from the floor and throw it in the trash can - and he will do it. If we tell him it's time to get in the car, he will bring me my shoes. The more we talk to learning toddlers, the more they can soak in and eventually repeat with their own voices. Reading is a natural way for toddlers to learn the rhythm of speech. It can also help them to identify words if you point to objects and words in stories. Plus, reading opens their eyes to the entire world! They can learn about animals, weather, nature, body parts, family... books can send children on a journey just about anywhere.